This woefully incomplete (from a historical perspective) article about Trump's recognition of the "One China" position gives Sugar and I, er, the "Editorial Board" of The Anti-New York Times the ideal opening to address an interesting yet mostly forgotten historical question - namely, what is this controversy about "one China" vs "two Chinas" all about? 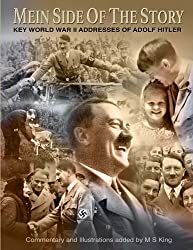 Like so many other of the world's hot spots and problem areas, this situation was engineered by the Globalists -- specifically, traitors such as Hiroshima Harry Truman's Secretary of States from New York's notorious Council on Foreign Relations (CFR) -- George Marshall (CFR) and Dean Acheson (CFR). Providing important intellectual cover for their treason was "scholar," Owen Lattimore (CFR) (now known to have been a secret Communist), The Jew York Slimes and The Washington Compost. 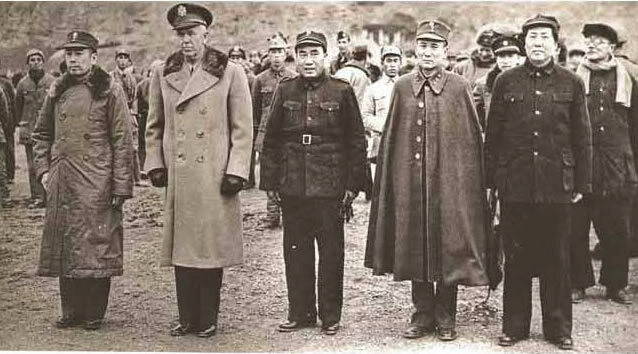 1: The traitor George Marshall (2nd from left), as Special Envoy to China and later as Secretary of State, was among the handful of US Globalists who deliberately engineered the fall of China to Stalin's agent, Mao Tse Tung (on right). 2. 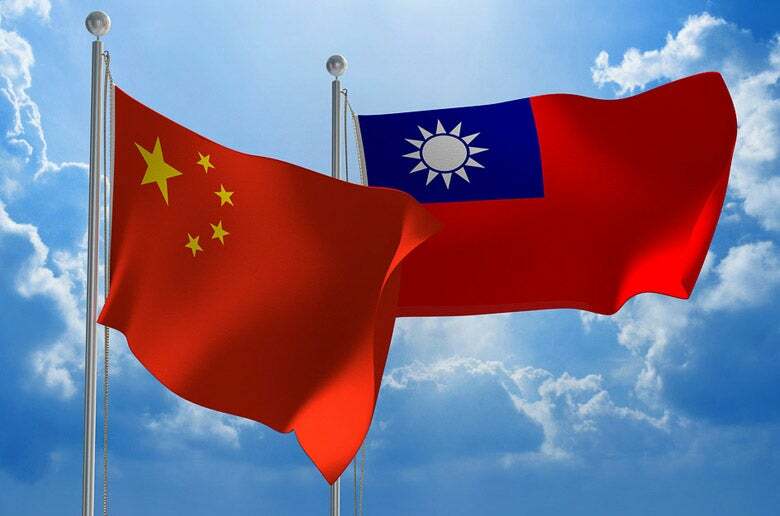 The "two Chinas" controversy remains a challenge because the US is comitted to the "defense" of Taiwan. During World War II, China's American-allied Nationalist government (led by Chiang Kai Shek) and China's Stalin-allied Communist rebels (led by Mao Tse Tung) put aside their differences (at least partially) and focused on fighting the Japanese. 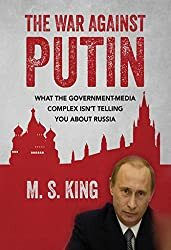 Unbeknown to Chiang Kai Shek, Roosevelt and the gang of Communist moles who accompanied him to the historic Yalta Conference in February of 1945 were already planning to betray him and hand disputed Manchurian (Northern Chinese) ports -- which Chiang thought China would get from Japan -- over to Stalin's jurisdiction upon completion of the war. 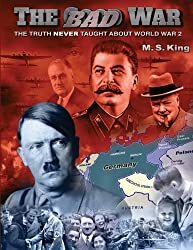 The "price" that Stalin had to pay to get his foot in Manchuria was to break his non-aggression treaty with Japan, and join the war in Asia no later than 90 days after the end of the war in Europe which was rapidly coming to an end. The deal also stipulated that the US would supply hundreds of boatloads of additional arms to help the Soviet effort in Asia. True to his word, (heavy on the sarcasm there) Stalin joined the war exactly 90 days after Victory in Europe Day, on August 9, 1945 -- the same day as the 2nd atomic bomb was dropped on Japan, an already defetaed nation that has been trying to negotiate a surrender. "Thanks Joe! We couldn't have done it without ya!" (extra heavy on the sarcasm there.) 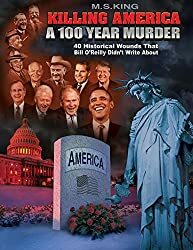 Faced with the dreadful prospect of firebombs and atomic bombs raining down upon their defenseless cities and a Soviet declaration of war, Japan had no choice but to surrender unconditionally. Soon afterwards, the Soviets opened up their strategic Manchurian ports and supplied free American-made arms to Mao's boys. Captured Japanese munitions depots were also turned over to the Reds. 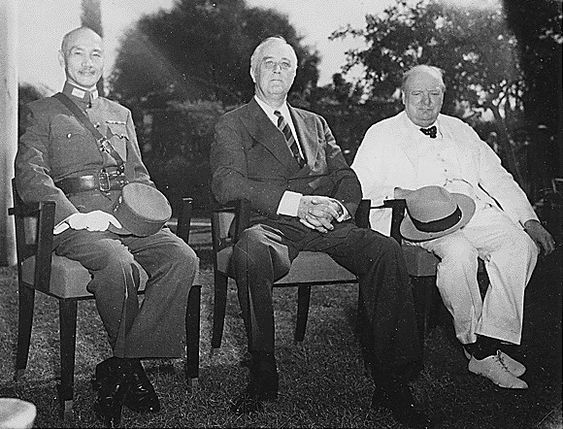 1: At the 1943 Cairo Conference, FDR & Churchill promised Chiang that China would get Manchuria after the war with Japan ends. 2: But at the 1945 Yalta Conference in Crimea (USSR), the two slimeballs, behind Chiang's back, agreed to give those key Manchurian ports to Stalin! 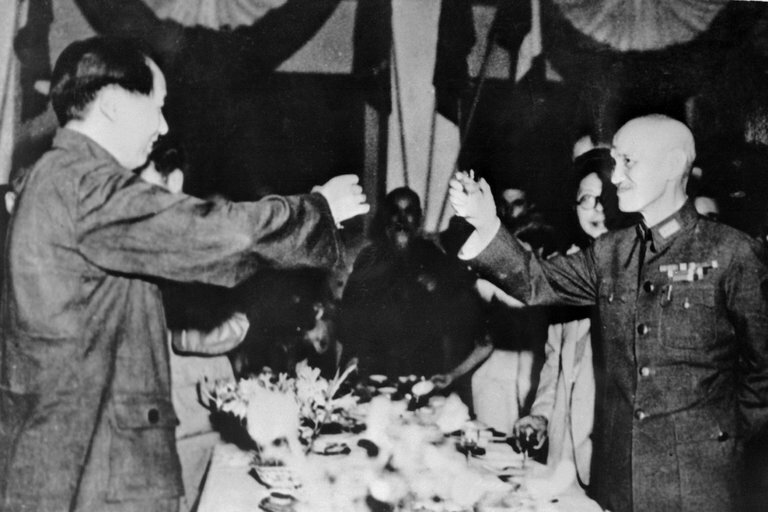 3: In August of 1945, Mao (l) and Chiang (r) set their difference aside to toast to Japan's defeat. Poor Chiang -- who had foolishly waged war against Japan at FDR's behest -- had no idea what his "allies" had in store for China. The years between 1945-1949 witnessed further betrayals of Chiang's Nationalists by the US State Department. Under the protective cover of NY Slimes & DC Compost puff-pieces about the "agrarian reformer" Mao and the "corrupt" Chiang, the Globalists / Communists at State tilted the playing field towards Mao. Thanks to a US arms embargo, the Nationalists began to run low on ammunition as the Reds remained Soviet-supplied. In 1948, Congress voted $125 million in military aid to Chiang. 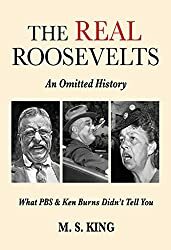 The Communist-infested Truman administration responded by delaying the aid with bureaucratic "red tape" for 9 months. 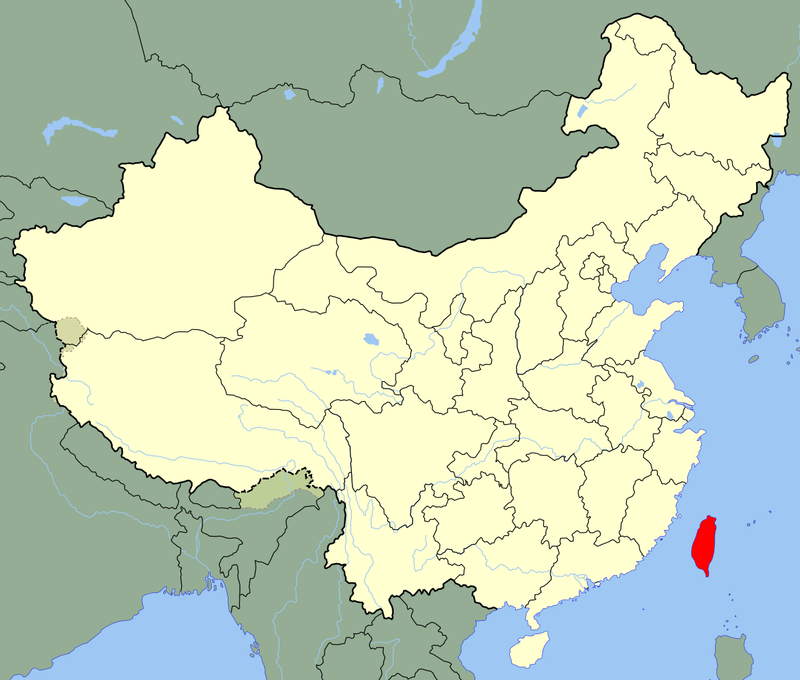 During that time, China collapsed and the demoralized Nationalists escaped across the Taiwan Strait to the Chinese island of Formosa, which became known as Taiwan, or "free China." 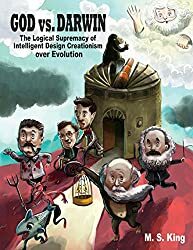 "Communists and queers have sold 400 million Asiatic people into atheistic slavery, and have the American people in a hypnotic trance, headed blindly toward the same precipice." 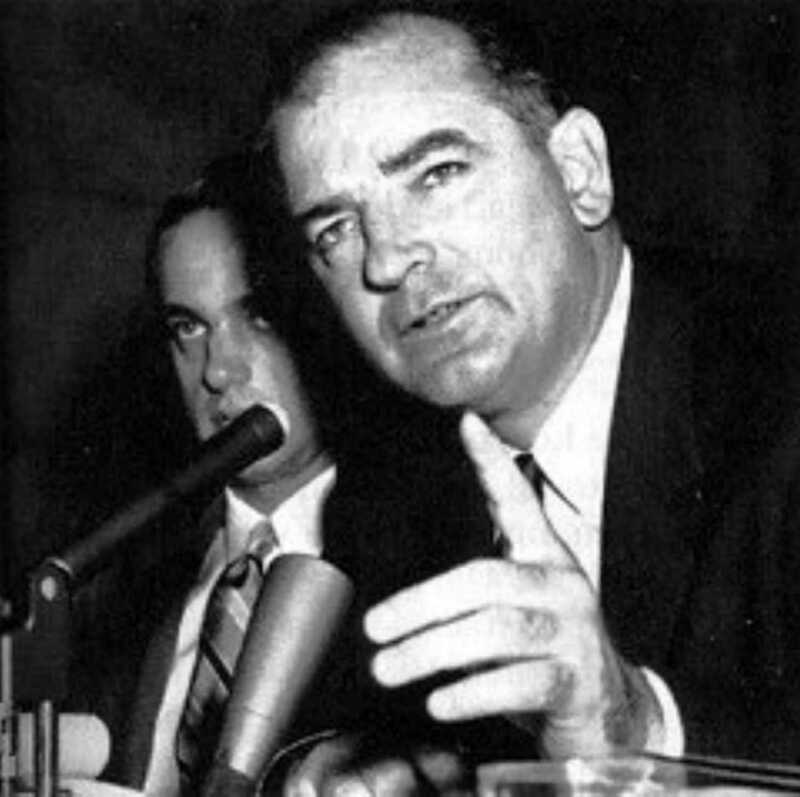 Saint Joseph McCarthy of Wisconsin sacrificed his life (apparently poisoned at age 49) in exposing the 'Communists and queers" who were subverting America. 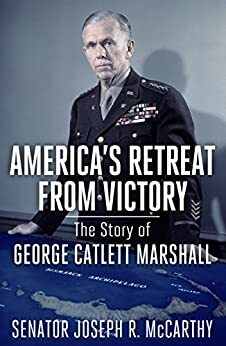 His speech on the Senate floor, later published as "America's Retreat From Victory," ripped the "war hero" George Marshall to shreds for "losing China." Chaing's Taiwan became free and prosperous as Mao's mainland descended into genocide and remained relatively backward for decades to come. And that, dear reader, is why many (not all) of the folks in Taiwan say that there are "two Chinas," while the mainland Chinese insist that there is only "one China." From our perspective, this is a matter for the Chinese people to resolve, not America. Given the ironic fact that the modern incarnation of "Communist China" is now so pro-business, pro-tradition, pro-religion and pro-peace that Chiang would actually like it, while Mao wouldn't even recognize it, the "two Chinas" should reunite with Taiwan retaining a degree of autonomy -- as is the case with Tibet and Hong Kong. Again, it is none of our business. Globo-Commie-Zio America's interference in Asia has caused enough harm. But we thought "youse guys" would find the history interesting. 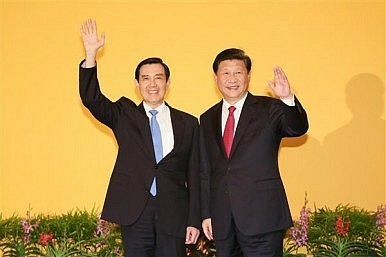 1: 2015: Chinese President Xi Jinping and Taiwanese President Ma Ying-jeou wave to journalists before their meeting in Singapore. 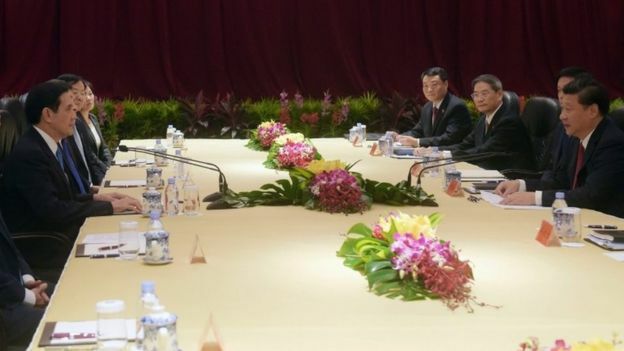 The "two Chinas" are not enemies, but nor can it be said that they are friends. 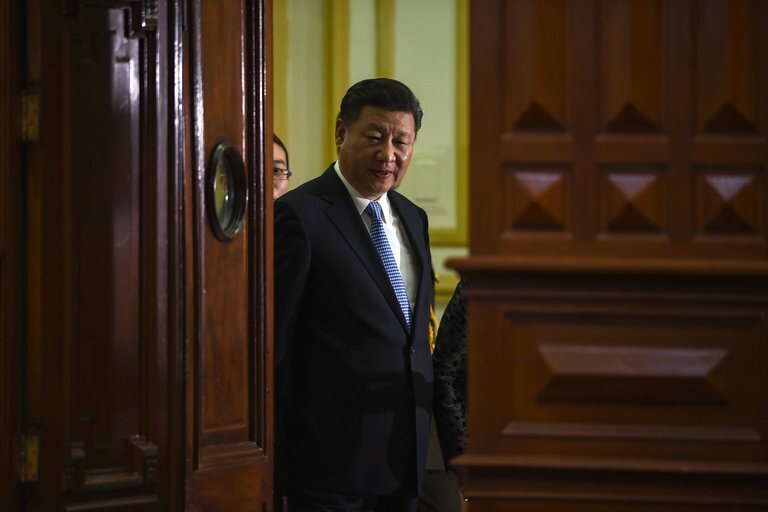 The controversy remains a "hot spot" that Globalists can use to play against China. 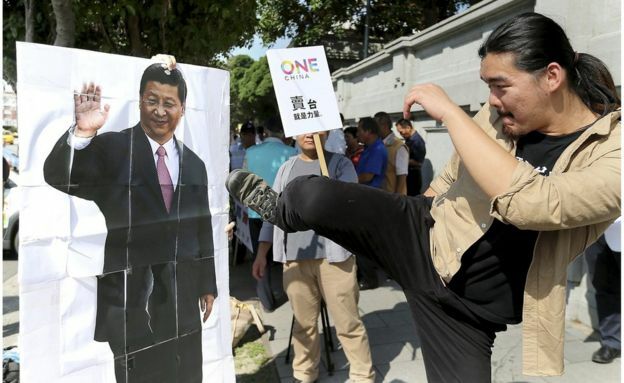 2: A Taiwanese "activist" kicks an image of Xi to protest the Taiwan - China talks. Boobus Americanus 1: I read in today's New York Times that Trump intends to honor the One-China policy. Boobus Americanus 2: I never understood this one-China / two-China controversy. Boobus Americanus 1: Come to think of it, I don't either. Sugar: It's very ssimple, Boobuss Boyss.The ussual ssuspectss have f*** up every region that have ever touched around the world. Editor: Darn straight, Sugar! And not by accident either. 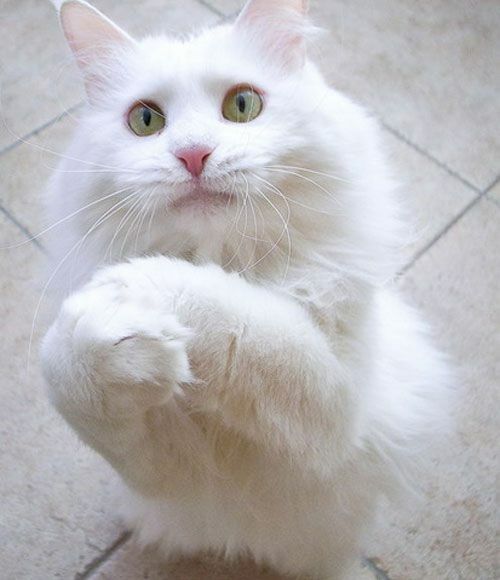 ... Now come here so daddy can soap up your filthy kitty-litter mouth.